From the bestselling author of The Fitzgeralds and the Kennedysand Lyndon Johnson and the American Dream comes a compelling chronicle of a nation and its leaders during the period when modern America was created. 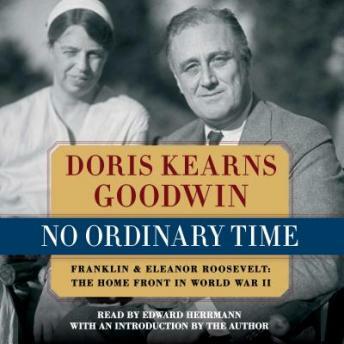 Presenting an aspect of American history that has never been fully told, Doris Kearns Goodwin describes how the isolationist and divided United States of 1940 was unified under the extraordinary leadership of Franklin Roosevelt to become, only five years later, the preeminent economic and military power in the world. Using diaries, interviews, and White House records of the president's and first lady's comings and goings, Goodwin paints a detailed, intimate portrait not only of the daily conduct of the presidency during wartime but of the Roosevelts themselves and their extraordinary constellation of friends, advisers, and family, many of whom lived with them in the White House.